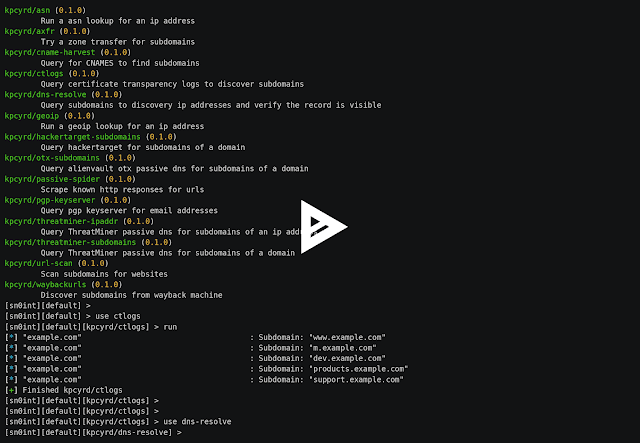 sn0int is a semi-automatic OSINT framework and package manager. It was built for IT security professionals and bug hunters to gather intelligence about a given target or about yourself. sn0int is enumerating attack surface by semi-automatically processing public information and mapping the results in a unified format for followup investigations. sn0int is heavily inspired by recon-ng and maltego, but remains more flexible and is fully opensource. None of the investigations listed above are hardcoded in the source, instead those are provided by modules that are executed in a sandbox. You can easily extend sn0int by writing your own modules and share them with other users by publishing them to the sn0int registry. This allows you to ship updates for your modules on your own since you don’t need to send a pull request.